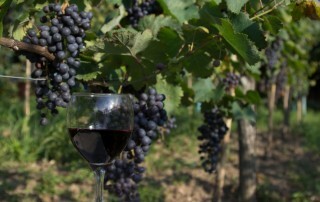 Learn about the long history of Georgian wine-making during this full-day private tour from Tbilisi. 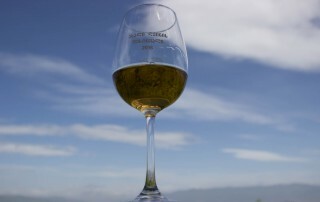 Explore the Kakheti wine region including stops at four different wineries, focusing on organic wines. 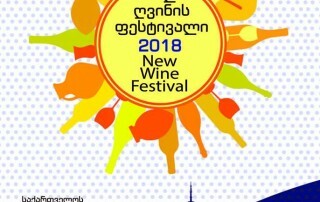 Sample several wines alongside freshly baked Georgian bread and cheeses. Meet local winemakers and hear stories about their craft. A traditional barbecue lunch is included. In the morning after a complimentary greeting and pick up from our guide at 9:30 guests will be driven towards Kakheti region. In an hour we will reach the very first stop : Georgian home bread bakery, where we will taste freshly baked Georgian bread called “Shoti” and different varieties of cheese. Afterwards we will drive 20 minutes more to reach first Organic winery called Vellino. A young and superbly successful wine maker Beqa Jimsheladze will lead us into his lovely wine cellar. 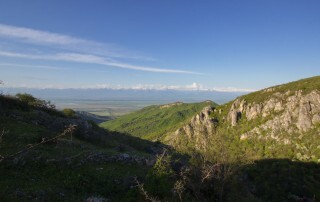 The next Organic winery we are visiting is called “Okro wines” and is located in the city of love – Sighnaghi. The city is also knows with its defensive town wall all around it and is worth it to see. This winery offers us a stunning view Over Alazany valley with a background of Greater Caucasus Mountain Range and the most important: sky high quality Organic wine. The owner called Jenny will lead us into her usual Paradise. By the time we are finished enjoying the best Okro wines, we head towards Mosmieri (in Georgian language Mosmieri means wine addicted man) winery for lunch. Georgia is well knows with its delicious food and especially People from Kakheti love to impress visitors with their local food. Mosmieri winery is situated at the famous Alazany valley. The beautiful wine restaurant with a lovely view will warm up our minds to get set for marvelous BBQ lunch. (Please note : Mosmieri Winery DO NOT PROVIDE Organic wine, but the extremely high quality Georgian and European styled wines! a place for a comparison) . The last attraction of this fantastic day will be visit to Qvevri (special Georgian clay jar used for wine making) maker Zaza, near town Telavi. He will lead us into his fine workshop, and we will try his exclusive white wine. At the end of the day as we feel satisfied with gorgeous food, Stunning landscapes and world’s best Organic wines we head towards Tbilisi. Pick up and drop off point is costumers hotel.